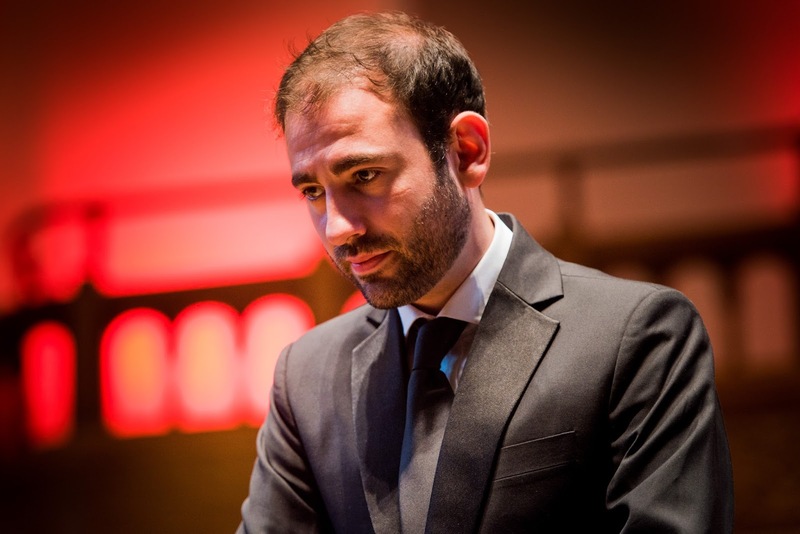 The Academy of Ancient Music and Richard Egarr (who directed from the harpsichord), completed their trilogy of Monteverdi operas, with Monteverdi's Il ritorno d'Ulisse in patria performed in a staging by Alexander Oliver and Timothy Nelson at the Barbican Hall on Tuesday 29 September 2015. Ian Bostridge was Ulisse, Barbara Kozelj was Penelope and Elizabeth Watts was Minerva, with Andrew Tortise, Lukas Jakobski, Sophie Junker, Daniela Lehner, Alexander Oliver, Christopher Gillett, Charmian Bedford, John Lattimore, Richard Latham and Gwilym Bowen. The opera was performed full staged, with performance areas both in front or the orchestra and on a raised one behind, and much use was made of the auditorium. Most of the cast wore black with just a hint of colour. 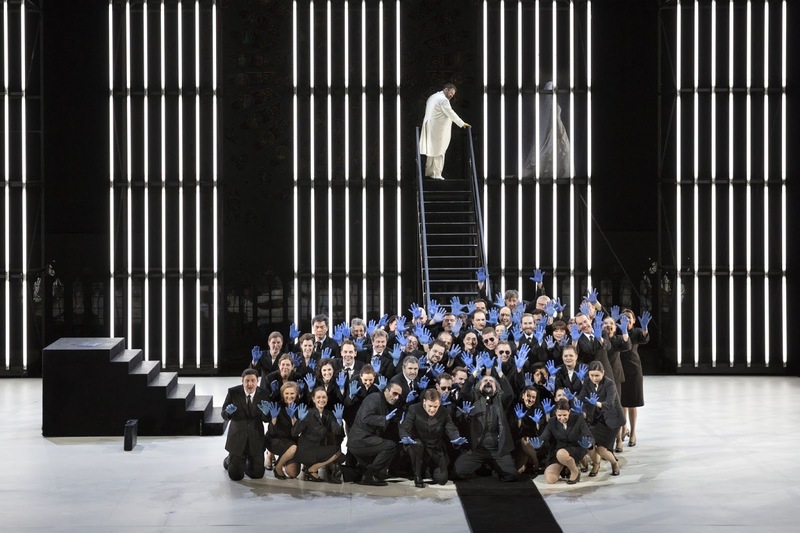 The performance was dedicated to the memory of the great critic Andrew Porter who died in April this year at the age of 86; and not just a critic, he translated 38 opera librettos including Wagner's Ring for ENO, as well as writing perceptively on a number of other subjects. Nicholas Kenyon, director of the Barbican, hosted a pre-concert reception for those who had known and loved Andrew and his work, including a number of his former colleagues. In his speech Nicholas Kenyon said that Andrew had written perceptively about Monteverdi's opera in the early years of his stint as the music critic of the New Yorker, and that Monteverdi's opera is so admired today is partly as a result of the changes in musical taste that Andrew brought about. Kenyon also said that he had been rather taken aback by the warm of the response when Andrew died, and that it was very much an end of an era. 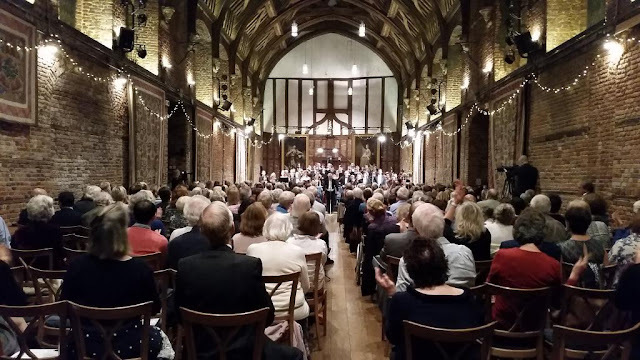 This year's Hatfield House Chamber Music Festival concluded in fine style on Sunday 27 September 2015 with a concert in the Old Palace given by the choir of King's College, Cambridge, and the Haydn Chamber Orchestra conducted by Stephen Cleobury. They were joined by soloists Magnus Johnston (violin), Guy Johnston (cello), Nicholas Daniel (oboe) and Robin O'Neill (bassoon) for Haydn's Sinfonia Concertante in B flat major for oboe, bassoon, violin and cello, the choir sang two movement's from Charlotte Bray's Come Away and both choir and orchestra were joined by soloists Ruby Hughes (soprano), Lucy Taylor (mezzo-soprano), Richard Dowling (tenor) and Bozdiar Smiljanic (bass) for Mozart's Requiem. Haydn's Sinfonia Concertante was commissioned by Johann Peter Salomon for his London concert series and premiered in 1792 (the same year the Mozart's Requiem was completed by Sussmayr) during Haydn's first visit to London. The opening Allegro had quite a military air, the music elegant and lively. 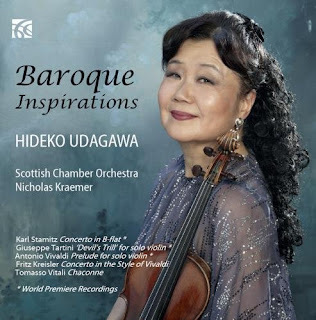 The writing for the soloists was very concerto grosso like, with Haydn using the four as a group or in pairs, yielding some elegant playing from the four. The Andante opened not with an orchestral ritornello but with the four soloists accompanied just by plucked strings and the lyrically elegant music put the spotlight firmly on Magnus Johnston's violin. This continued into the final movement which opened with a series of recitative passages for the solo violin before the perky, solo violin led Allegro. Cleobury took it a quite a speed, leading to some nifty passage-work from all the soloists. English National Opera opened its new season with the an eagerly anticipated new production of Shostakovich's Lady Macbeth of Mtsensk in a production by the Russian director Dmitri Tcherniakov (who also designed the sets), with Patricia Racette as Katerina, Robert Hayward as Boris, Peter Hoare as Zinovy, John Daszak as Sergei, Rosie Aldridge as Aksinya, Adrian Thompson as the shabby peasant, Per Bach Nissen as the chief of police and Clare Presland as Sonyetka. Mark Wigglesworth conducted, his first engagement with the company since becoming musical director. Thorsten Colle was assistant director, Ekaterina Mochenova was associate set designer, Elena Zaytseva was associate costume designer, Gleb Filshtinsky was lighting designer and Tatiana Baganova was the choreographer. Two questions need asking, to qualify the information given in the previous paragraph; which Lady Macbeth of Mtsensk and how new was the production? Dmitri Tcherniakov's production of Lady Macbeth of Mtsensk originally debuted in 2008 at Deutche Oper am Rhein, this new version of the production is a co-production between Opera de Lyon and Gran Teatre del Liceu, Barcelona but I am unclear how much Tcherniakov has changed though I understand it to have been re-worked from the original 2008 production. 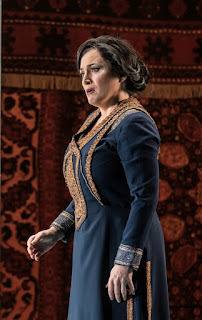 Regarding Lady Macbeth of Mtsensk, the text of the opera seems to have undergone a continuous metamorphosis, there are changes between the various sources from the 1930's and of course the composer revised the work in the 1950's to make it acceptable to the Soviet authorities. The problem for anyone is working out what the composer's real intentions were. If the work is seen as a satire against the Soviet system (which some commentators argue for, and others against) then we have to prefer the earliest version, but we should also consider the composer's final thoughts too. ENO used the version based on the earliest sources. But there is another question too, because Lady Macbeth of Mtsensk is rather Janus-like and the music drama can be viewed in opposing ways. 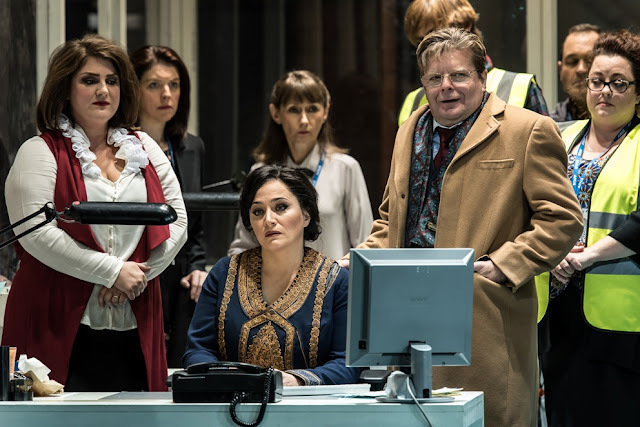 In the Guardian Ed Vulliamy warns against stereotyping the opera based on Simon Volkov's influential book Testimony, claiming to project Shostakovich's real thoughts about the opera; Vulliamy sees the work as coming from the Leningrad avant-garde, a scene inspired by surrealism, anarchism and Italian futurism. The movement comprised iconoclasm and constructivist rejection of the commercial contamination of culture; and featured poetry by Mandelshtam and Mayakovsky, Bakhtin, artwork by Malevich, Popova and Rodchenko, sculpture by Tatlin, plays by Meyerholt, films by Eisenstein. But over in the Independent, conductor Mark Wigglesworth argues that the work is not only a savage critique of the Soviet system but of Russia today. And here he seems to agree with director Dmitri Tcherniakov whose production as been described as an indictment of the role of women in Russia today. 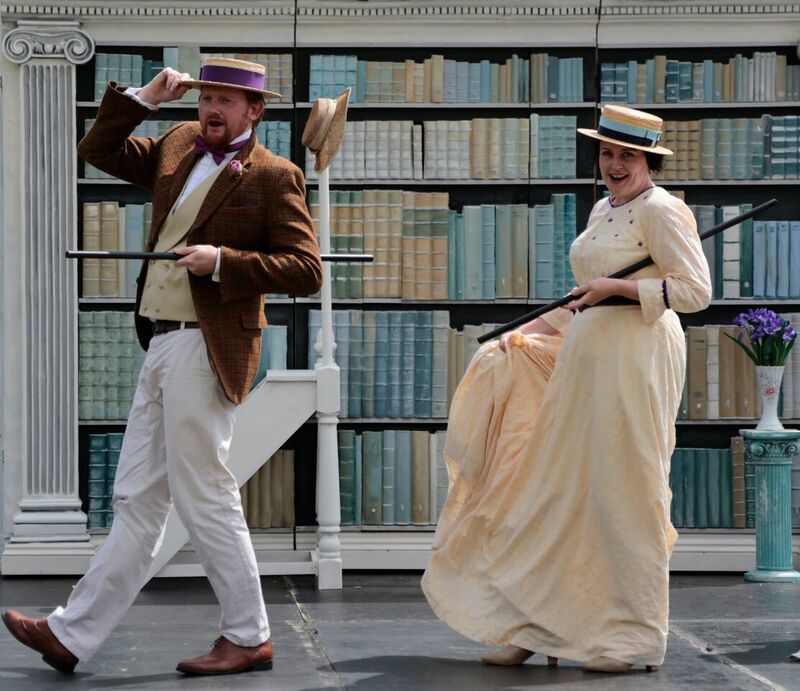 Music Theatre Wales will be touring a new opera by Stuart MacRae and Louise Welsh in 2016 in a new production which is a co-production with Scottish Opera. The Devil Inside (based on Robert Louis Stevenson's short story The Bottle Imp) will be directed by Matthew Richardson, conducted by Michael Rafferty, designed by Samal Blak with a cast including Nicholas Sharratt, Rachel Kelly, Steven Page and Ben McAteer. 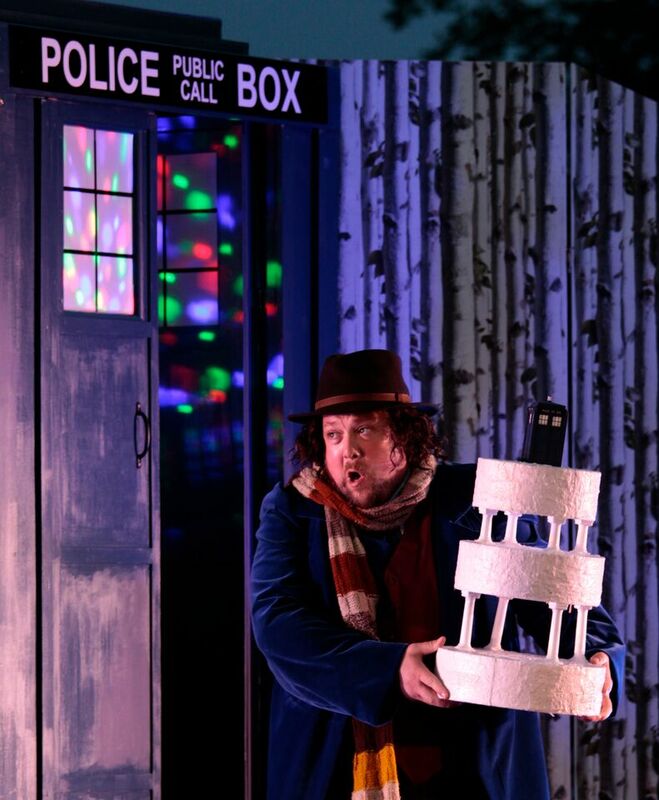 The production debuts at the Theatre Royal Glasgow (23, 26 January 2016) and then travels to Edinburgh (29, 30 January), London's Peacock Theatre (3, 4 February), Cardiff (9 February), the Anvil at Basingstoke (10 February), and Aberystwyth (23 February) with further Welsh dates to be confirmed. 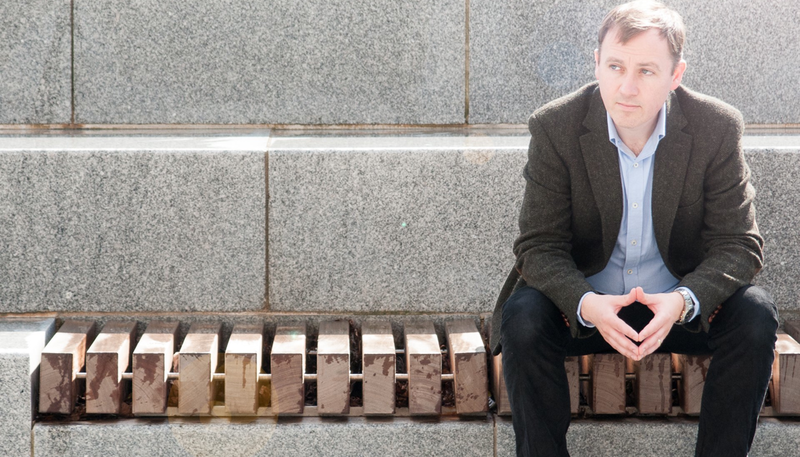 Composer Stuart MacRae and novelist Louise Welsh have form together and their partnership has been admirably grown and nurtured by Scottish Opera and Music Theatre Wales. The first collaboration was the 15 minute Remembrance Day which was part of Scottish Opera's admirable evening of new short operas Five: 15 - Operas Made in Scotland. Later the pair's one-act opera Ghost Patrol (2012) was a joint venture between the two companies and won the South Bank Sky Arts Award for Opera in 2013, and received an Olivier Award nomination. MacRae and Welsh have created a contemporary take on Robert Louis Stevenson's unsettling tale whilst preserving the chilling, queasy qualities of the original. The story turns on a bottle with the power to grant the heart’s desire - but there’s a catch: you can only sell it for less than you paid for it, and, if you die while owning it, your soul goes straight to hell. James uses the bottle to get all he ever dreamed of, and then sells it. Happily married to Catherine, he feels his life is complete until an awful discovery begins to unravel their life together, with devastating consequences. Four contrasting ensembles in the second heat of the competition. 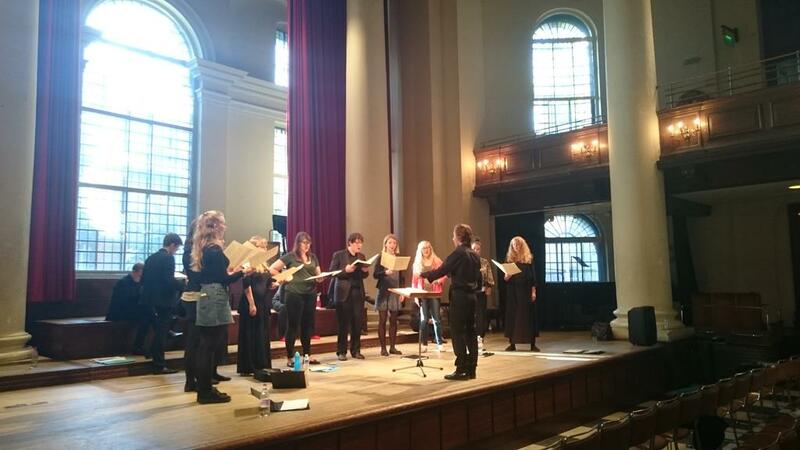 For this year's London International A Cappella Choir Competition, seven choirs are coming together to compete at St John's Smith Square, with heats on 24 and 25 September and the finale on 26 September 2015. The Schola Cantorum of The Cardinal Vaughan Memorial School, The Templar Scholars and The Epiphony Consort competed on 24 September in Heat 1, and we went along on 25 September to hear Sansara, Ardu, The Gesualdo Six and Blossom Street competing in Heat 2 in front of a jury consisting of Peter Phillips (chair, director of The Tallis Scholars), Mark Williams (director of music at Jesus College, Cambridge), Lionel Meunier (director of Vox Luminis), Ghislaine Morgan (vocal coach) and Gabriel Jackson, the festival's featured composer. 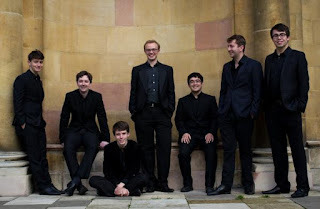 Each choir had to perform a 20 minute programme comprising a work of Renaissance polyphony, a work by Gabriel Jackson and music of their choice. The four featured groups in the second heat were remarkably varied, with two vocal ensembles and two choirs and each had a very distinct personality, I certainly did not envy the judges having to select just two of the groups to go forward to the finale. The evening was opened by Sansara, a 19 voice mixed chamber choir (both men and women on the alto line). The group was formed in 2013 and the singer are all young professionals. A feature of the group is that they have no specific conductor but use different ones from the group. Their programme consisted of Wie liegt die Stadt so wust by Rudolf Mauersberger (1889-1971) conducted by Tom Herring, Gabriel Jackson's Peace My Heart (from his Requiem), conducted by Meghan Quinlan and Gombert's Lugebat David Absalom (conducted by Benjamin Cunningham). Some time ago, at a press conference for In Harmony/Sistema England Julian Lloyd Webber said that as a music teaching enterprise In Harmony/Sistema England was extremely expensive but that as a social enterprise it was good value for money. It is important to bear this in mind when considering the various In Harmony enterprises. And the news from Opera North bears this out, two of the schools which take part in Opera North's intensive education programmes (In Harmony Opera North and the Opera North Singing School) have seen significant rises of up to 20% in their K2 SATS results this year. Windmill Primary School, Leeds takes part in the In Harmony Opera North programme whilst Bude Park Primary School in Hull takes part in the Opera North Singing School. In Harmony Opera North began in January 2013, and every child in the school participates in up to 3 hours musical activity per week during curriculum time and many children attend Opera North ‘After School’ music sessions three times a week. Most of the 362 pupils play a string instrument with weekly group instrumental lessons and orchestra sessions; everyone sings in an age banded choir. 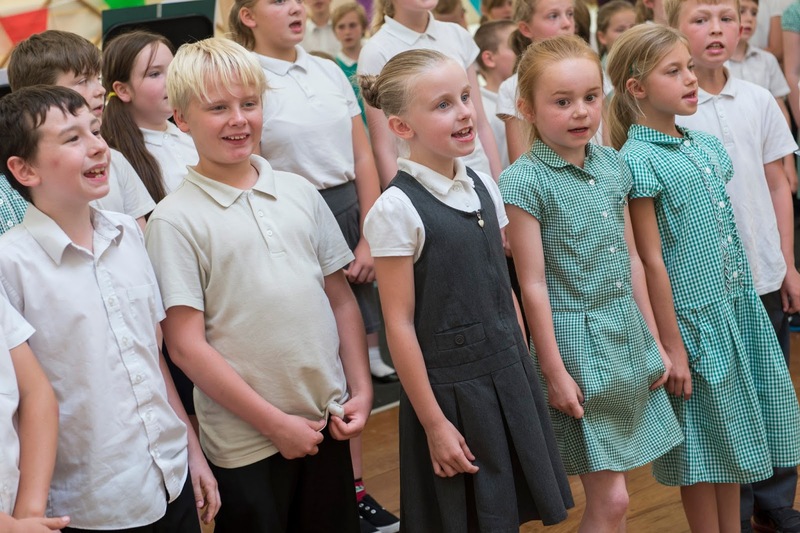 All of the children give regular performances to family and friends and they have all had the opportunity to perform at several events with the Orchestra and Chorus of Opera North; initiatives which helped parental engagement with the school rise from 7%-39% in 2013. A community choir takes place every Friday lunchtime to encourage adults living locally to sing together and perform alongside children at the school; while at a local Children’s Centre there are weekly Opera North Early Years sessions for 0-4 year olds and their parents and carers. The programme is now being extended to a second school, Low Road Primary, from September 2015. As can be imagined, such activity does not come cheap but it is important to understand the gains to be in social cohesion and education rather than purely musical, and the results at the school bear it out. In Harmony Opera North’s sister project, Opera North Singing School, is based in Bude Park Primary School, Bransholme, Hull, where the programme has been running for one year. Since September 2014 children at the school have received up to 3 hours a week of singing and performing arts sessions related to opera and, like In Harmony Opera North, have had regular performance opportunities; some of these have been with members of the Orchestra and Chorus of Opera North. Andy Gamble, Executive Headteacher at Windmill Primary School in Belle Isle, Leeds commented: "We have observed many significant effects on the pupils’ skills such as teamwork, co-operation, social skills and self-confidence. 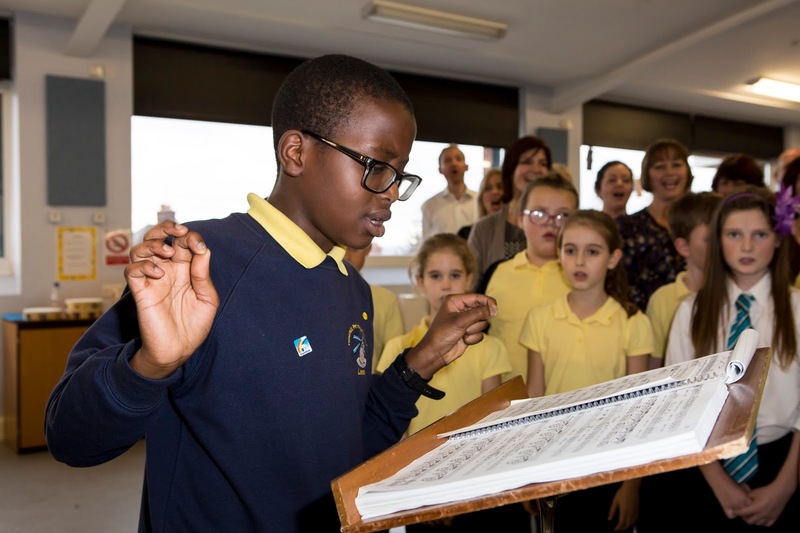 It is my belief that the cultural enrichment provided by In Harmony Opera North over the last three years has had a direct impact on the positive learning culture here at Windmill and subsequently contributed towards these improved results for our children." 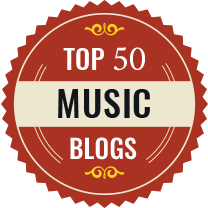 For further reading on the more general social and health benefits of music you might try this article. The Scottish composer John McLeod is a composer of whose work I have long been aware (I sang in the premiere of Hebridean Prayers which was given by the Scottish Chamber Choir, conductor Colin Tipple, in Edinburgh in 1980), but I have lacked familiarity with his more recent work. 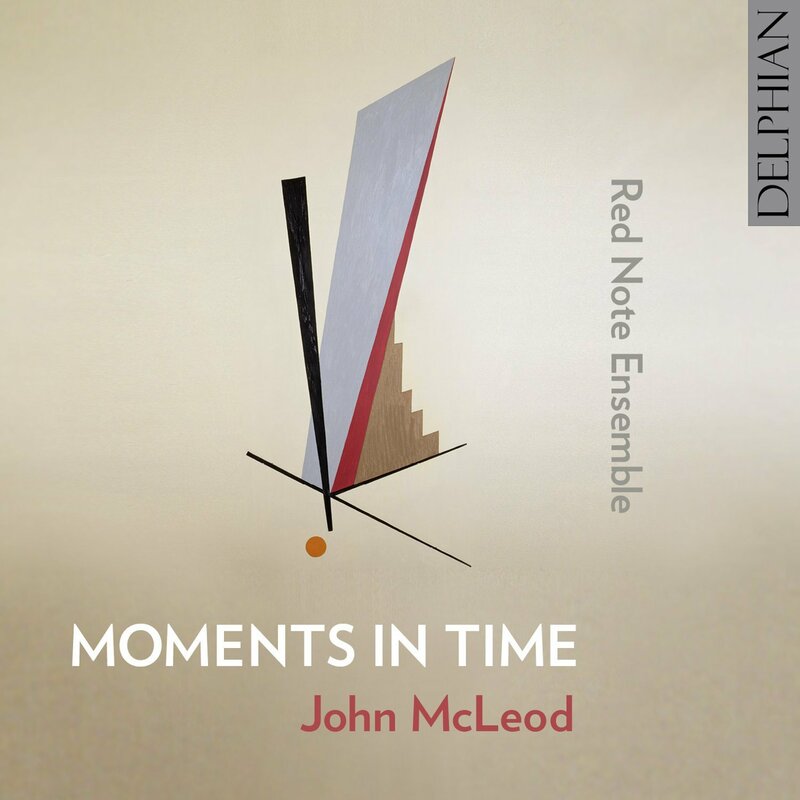 This disc from the Scottish ensemble Red Note Ensemble (on the Delphian label) explores the wide range of John McLeod's chamber music. At the core of the disc is a group of four remarkable songs (each written for a different combination of piano and instrument), The Song of Icarus, The Song of Dionysius, The Song of Phyrne and The Song of Leda, and to these the group adds A Moment in Time written for the same forces as Messiaen's Quartet for the End of Time. 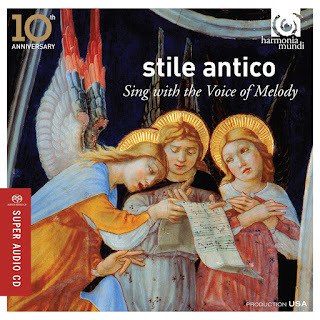 The music on the disc covers a significant period of McLeod's output from 1974 to 2010. John McCleod (born 1934) was 80 last year. He studied at the Royal Academy of Music, clarinet with Reginald Kell, Jack Brymer and Gervase de Peyer, composition with Lennox Berkeley, going on to develop a relationship with Lutoslawski whom he knew and admired. Henry Bauchau (1913-2012) was a Belgian psycho-analyst, lawyer and author; in the late 1940's he lived in Paris and was a friend of Albert Camus, Andre Gide, Jacques Lacan and Jacques Derrida. His book Œdipe sur la route (1990; Oedipus on the Road) is a post-Freudian version of the Greek tragic hero’s transformation in the 20 years that elapse between Sophocles’ accounts of events at Thebes and Colonus. When the composer Pierre Bartholomee was commissioned by the Theatre Royale de la Monnaie in Brussels for a new opera, he persuaded Henry Bachau to turn Œdipe sur la route into an opera and Bartholomee's Œdipe sur la route with a libretto by Henry Bachau was premiered in 2003 (when the author was 90!) with Jose van Dam (aged 63) in the title role. The performance, conducted by Daniele Callegari with Valentina Valente as Antigone, was recorded for video on the final night of the run. 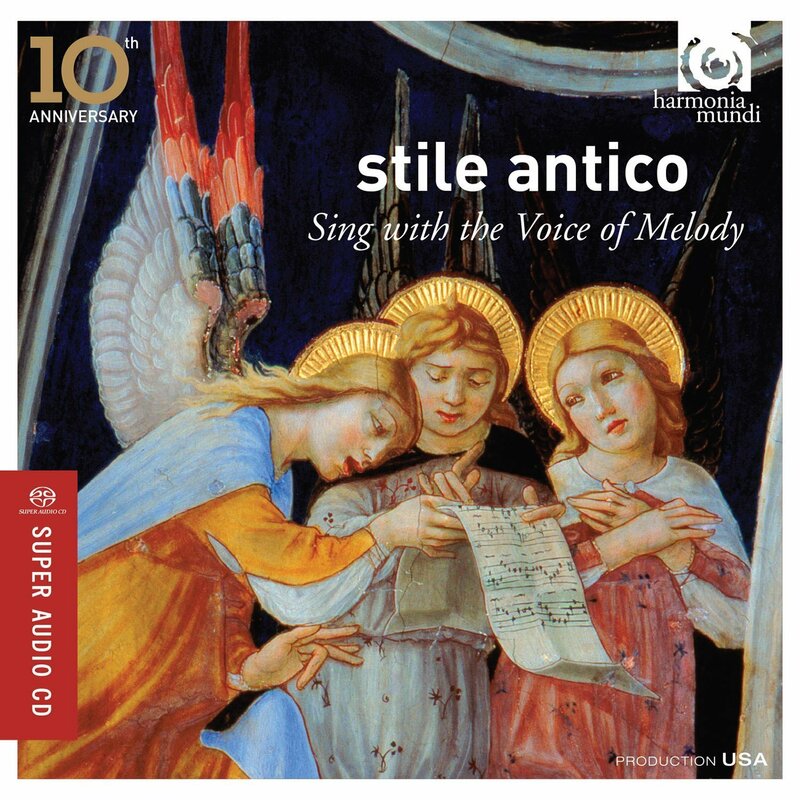 The audio track has now been re-processed and issued as a CD on Evidence (distributed by Harmonia Mundi). Composer Pierre Bartholomee (born 1937) trained as a pianist and founded, with composer Henri Pousseur, the Ensemble Musique Nouvelle and Centre de Recherches et de Création Musicales de Wallonie. 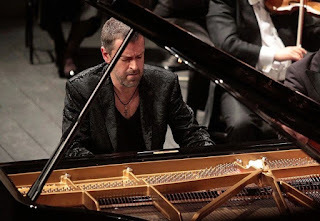 His career as a pianist was combined with that of composer and Œdipe sur la route was his first opera to be followed by two more (La Lumiere Antigone also to a libretto by Henry Bauchau premiered in 2008). 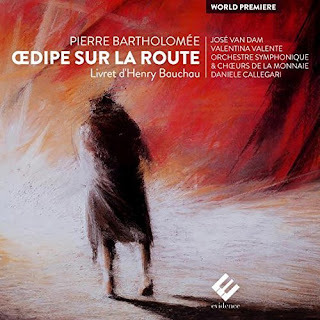 Œdipe sur la route is written for a large ensemble, 14 singers, choir and large orchestra. Bauchau's book is post-Freudian and the opera is discursive and allusive with 36 short scenes and three interludes lasting just over 120 minutes in four acts. The two major roles are for Oedipe (Jose van Dam) and Antigone (Valentina Valente) with numerous smaller roles contributing. Creative artists do not always mix well in business, but there is no reason why they should not and in fact there are many skills which the two have in common. The Guildhall School of Music and Drama seeks to remedy this with its Creative Entrepreneurs scheme. The scheme was devised by Professor Helena Gaunt, Vice Principal (Research and Academic Development) of the Guildhall School, in partnership with social enterprise Cause4. The alumni who are successful in joining the scheme take part in an intensive 12-month programme of training and individual support led by Cause4 and delivered in partnership with the Guildhall School. 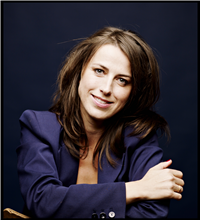 The Guildhall School has recently announced its third co-hort of Creative Entrepreneurs. The seven people (chosen from alumni and staff) will be supported to set up their own businesses/social enterprises and develop their entrepreneurship skills through its Creative Entrepreneurs scheme. 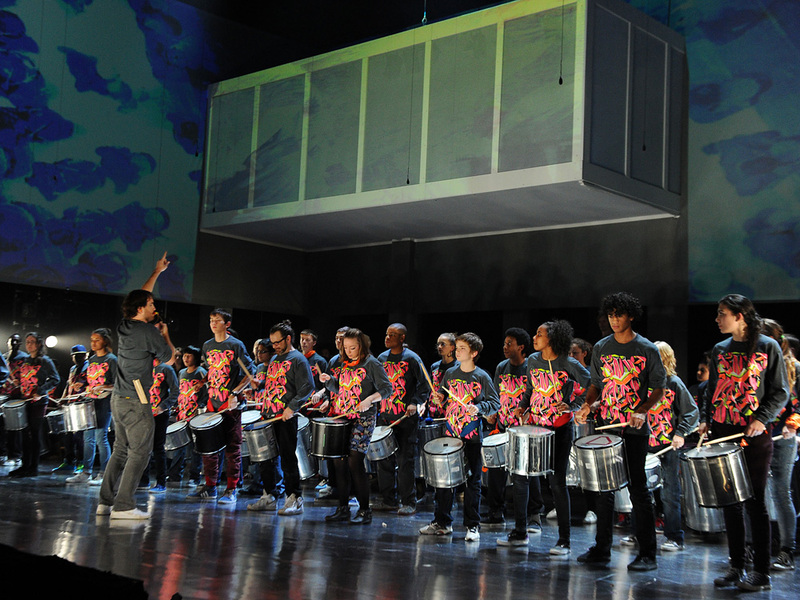 The scheme has now incubated over 18 new businesses including Song in the City, a charity that programmes classical concerts around inventive and challenging themes; Drum Works, a music education programme that confronts disengagement within schools, and is currently reaching over 400 young people every week; and Bach to Baby, an innovative and award-winning concert series for babies, tots and their parents to enjoy together. Horatio Radulescu (1942-2008), a Romanian spectral composer, created an instrument whe he named ‘The Sound Icon’. Drawing upon Eastern Orthodoxy and contemporary spectral music, he upended grand pianos, stripped them of their mechanical components and retuned the strings to create a stark instrument with a unique sonority. Radulescu was a somewhat eccentric figure, and though his music owed something to the French spectral school in many ways it was very different. Now Filthy Lucre, who create contemporary music nights which move from classical to experimental through to club night, are exploring Radulescu's Sound Icons. Sculptor Peter Shenai will create two Sound Icons, crafting the piano’s detritus (hammers, keys, lids) into new ways of interacting with the piano (stands, stools, mallets). 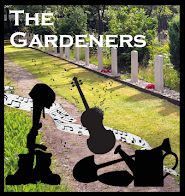 And then there will be a chance to hear them on 2 October at a concert at Shapes, Hackney with the Filthy Lucre Orchestra directed by William Cole. Then the Sound Icons will be displayed in an interactive exhibition at Somerset House from 2 - 15 November 2015. 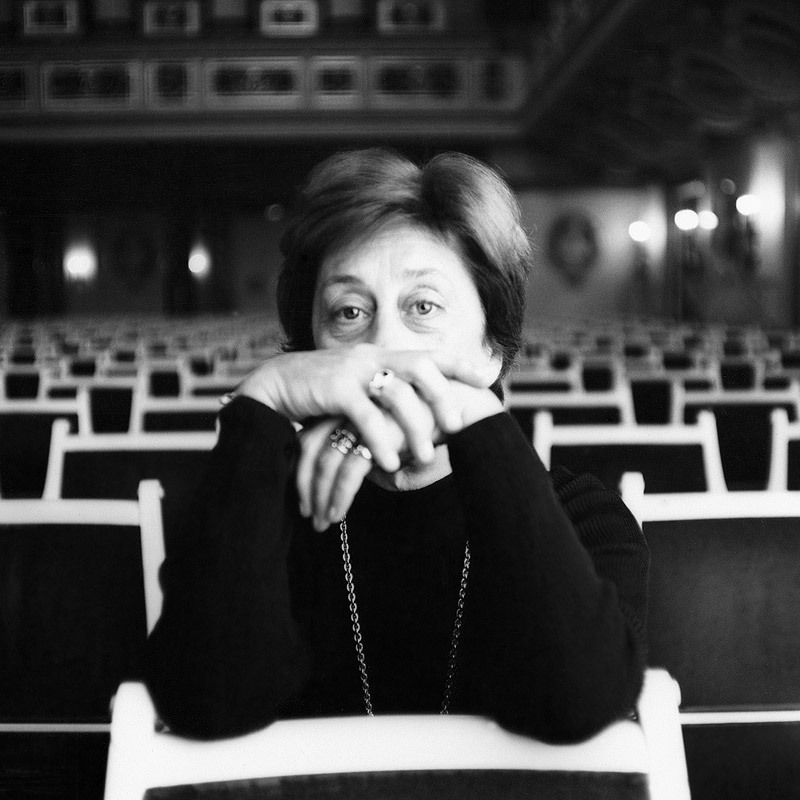 For the concert on 2 October, Radulescu's Intimate Portals will be performed for the first time in the UK with live Sound Icons rather than pre-recorded tape. Also in the programme will be Gerard Grisey's Partiels, a new improvisatory work by Sharon Gal using the Sound Icons, Kerry Andrew performing covers of Caribou, Bjork, Animal Collective and more, finally My Panda Shall Fly will be mixing amplified Sound Icons into a DJ set! The exhibition, in Somerset House will include opportunities to interact with the Sound Icons, take part in workshop and even book recording sessions. More information from the Filthy Lucre website. 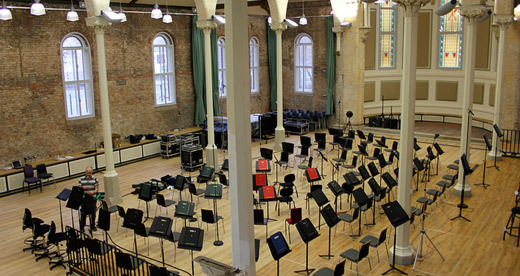 Halle St Peter's in Ancoats in Manchester is a Grade 2 listed former church built in 1859 which the Halle orchestra has transformed into a rehearsal and concert venue. Providing the orchestra with a home base and helping in the re-generation of the former industrial area in Ancoats. Now the orchestra has announced a design competition to provide a modern extension to act as Phase 2 of the building's redevelopment. The Hallé wants the St. Peter’s extension to be a worthy addition to the industrial architectural heritage of the former cotton mill area of the city, characterised by powerful red brick structures. The new extension will have an important role to play in the urban public space, and will need to provide an appropriate complement to the existing church building. The expressions of interest closes on 13 October 2015 via RIBA Competitions. And we look forward with interest to seeing the results of the selection; up to five entrants will be chosen to participate in the design concept phase of the competition. KammerKlang the live contemporary classical, experimental, improvised and electronic music series at Cafe Oto, returns for a 6th season. 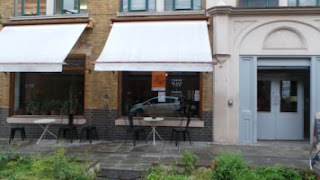 The award winning Cafe Oto in Dalston (18-22 Ashwin St, London E8 3DL), presents an amazing series of evening music events of live avant-garde music from free jazz to psych rock. KammerKlang represents a strand where contemporary classical meets other genres. You might not have heard of the performers but you can sure as hell bet that you will be in for one ear-opening evening. The series kicks off on 29 September 2015 with the Norwegian ensemble Asamisimasa performs Øyvind Torvund and Laurence Crane, and musician and sound artist Caroline Haines launches her new EP, OST with a multidisciplinary performance featuring the artist Mary Stark, and the new artist is violinist Mira Benjamin. The programme continues monthly into 2016 with performances by Distractfold, Oscilanz, Souninitiative, :such:, Perks Ensemble, Chicks on Speed, Exaudi, and Ictus, with music by Michael Finnissy, Christian Wolf, Christopher Fox and many more. Full details from the KammerKlang website. My initial experience of Mahler's Kindertoten Lieder and Rückert Lieder was in the versions by Janet Baker. Though I have heard other singers (both men and women) in the repertoire, it is her whom I think of first. For this new disc, we have a very different style of female voice as the German soprano Anne Schwanewilms sings Mahler's Kindertoten Lieder, Rückert Lieder and three songs from Des Knaben Wunderhorn, plus Schoenberg's Lieder, Op.2 accompanied by Malcolm Martineau, on the Onyx Classics label. 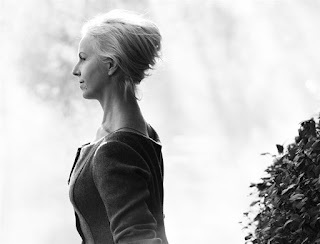 Anne Schwanewilms has a silvery, slimline voice with an element of steel to it, singing Richard Strauss and the jugend-dramatisch soprano roles of Wagner. 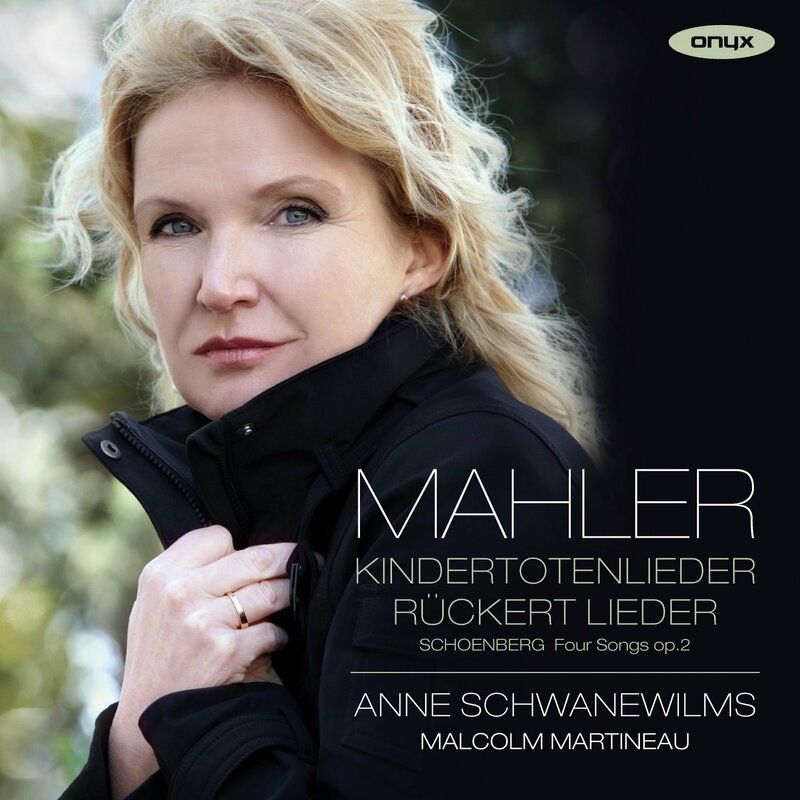 Here, singing Mahler's songs in the versions for voice and piano, she and Malcolm Martineau bring a great sense of intimacy to the works. But before Mahler, we have Schoenberg. His Lieder Op.2 were written in 1899 the same year as Verklarte Nacht. We are in the world of early Strauss, and Wagner here, along with some hints of Brahms in the luscious harmonic textures. Erwartung and Jesus bettelt are very post-romantic in style, with an intense and unstable chromaticism, and Schwanewilms sings them in a wonderfully interior way. 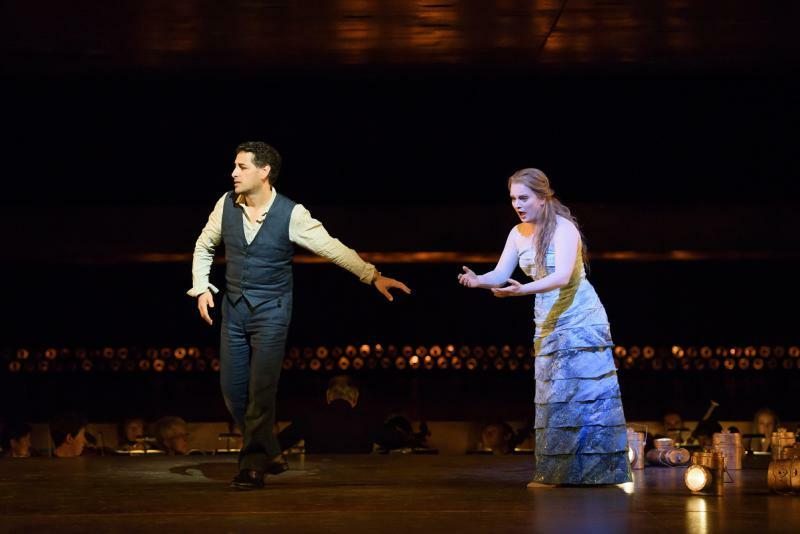 Erhebung is faster and more romantic expressionist, though Richard Strauss comes to mind too. 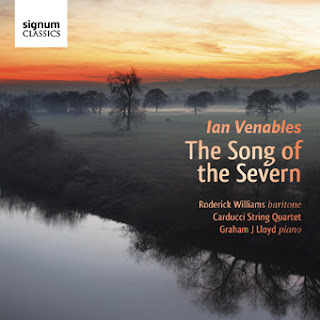 Finally Waldsonne displays the silvery beauty of Schwanewilm's voice, in another interior performance complemented by the intimate piano playing from Martineau. The Rhinegold Live concert season kicks off at Conway Hall on Tuesday 29 September 2015 with a recital from Portuguese pianist Artur Pizarro. Entitled Songs my mother taught me the programme (the exact playlist is being kept under wraps) is based on music concert pianist grandmother introduced him to from the age of four. Artur was introduced to the piano by his grandmother, the pianist Berta da Nóbrega, and her piano-duo partner, Campos Coelho who was a student of Vianna da Motta, Ricardo Viñes and Isidor Philipp. From 1974 to 1990 Artur studied with Sequeira Costa who had also been a student of Vianna da Motta and of Mark Hamburg, Edwin Fischer, Marguerite Long and Jacques Février. This has given Artur a remarkably legacy of teaching of the Golden Age of pianism. Rhinegold Live concerts are free and start at 7pm, preceded by a free drink; tickets are available from the Rhinegold Live website. The concert on 29 September will be followed by a Q&A between Artur Pizzaro and Owen Mortimer, editor of International Piano magazine. 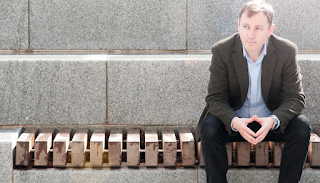 The Rhinegold Live season continues at Conway Hall with Trio Elegiaco (Monday 7 December), Jonathan Plowright (Thursday 4 February 2016), National Opera Studio (Thursday 17 March 2016), Katya Apekisheva & Charles Owen (Tuesday 26 April). Further information from the Rhinegold Live website. There are five versions at least of Gluck's Orfeo. The original 1762 Vienna (in Italian, with an alto castrato, a compact festa teatrale rather than full blown opera seria), and the 1774 Paris version (in French, with an haut-contre, expanded to a full tragedie lyrique) the main versions from Gluck's lifetime though he created a version of the original for Parma with a soprano castrato in the title role (this version is extremely rarely performed). In the 19th century, lacking both a castrato and an haut-contre, Berlioz created his own conflation in French of the Vienna and Paris versions, but with a mezzo-soprano in the title role. The popularity of this version gave rise to the edition which had the main currency in the 20th century, a version of Berlioz's edition back-translated into Italian. The original 1762 version has gained modern currency sung by counter-tenor instead of castrato but the 1774 Paris version which, contains some of Gluck's loveliest music, has not. Partly this is because the haut-contre voice is a very different beast, a fluid high tenor required to sing with lightness and style. The title role in the 1774 Pars Orphée et Eurydice is one which Juan Diego Florez has tried out in concert, but the performances at Covent Garden were his stage debut in the role. 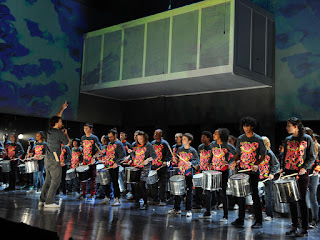 The production, co-directed by John Fulljames and choreographer Hofesh Shechter, debuted on 14 September 2015, and we caught the performance on 17 September. 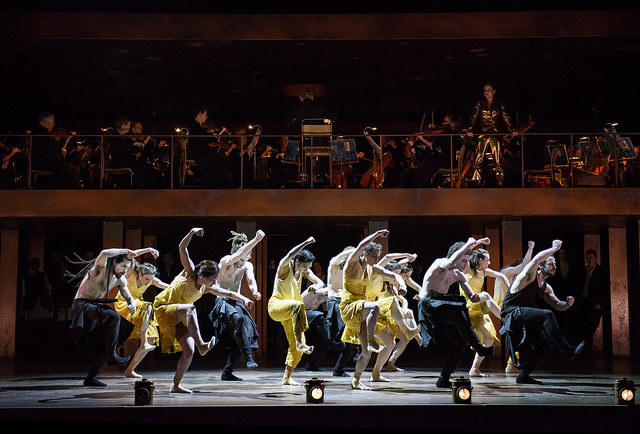 Hofesh Shechter's eponymous dance company provided the dance element, with John Eliot Gardiner conducting the Monteverdi Choir and English Baroque Soloists with Lucy Crowe as Eurydice and Amanda Forsythe as Amour. The other problem with the 1774 Orphée et Eurydice is that when Gluck expanded the piece, it was mainly the dance element which increased, this means any performance has to put dance central to the drama, and Hofesh Shechte's choreography was essential to the production. The Uruguayan pianist Dinorah Varsi was born in 1939 and died in 2013, having first performed in public at the age of four, and continuing to perform and record (her first recording session was in 1945) until 2009 when she withdrew from concert life. 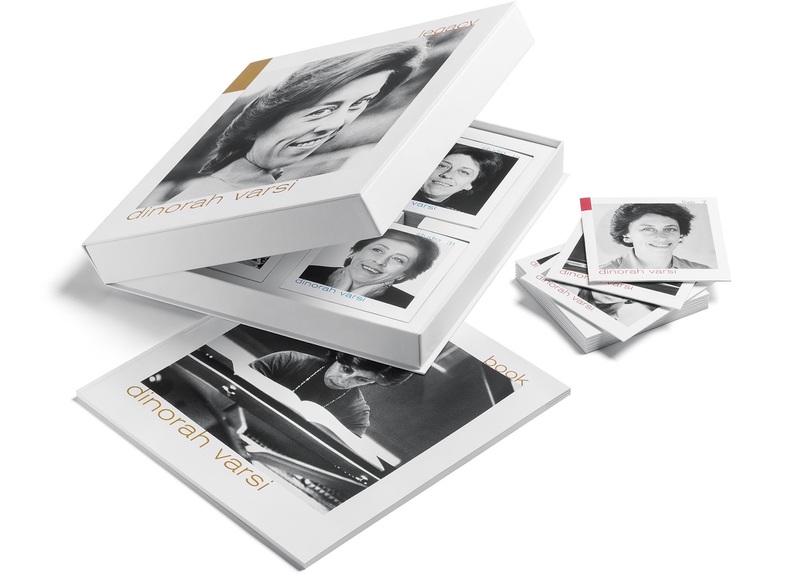 Such a wide career inevitably spawned a great many recordings and now there is a chance to explore her work in detail with a 40 disc Dinorah Varsi Legacy boxed set from Genuin. This includes 13 discs of live recordings, 21 discs of studio recordings, a disc of interviews and four of films of her playing. Varsi started studying the piano at the age of four, making her first public appearance just three months later. The first disc in the set includes recordings made by the five,- ten- and fifteen-year old pianist. Until 1961 her career was in South America, but in that year she played with the Dallas Symphony Orchestra (having been heard by their musical director when he conducted in South America), further studies in Europe followed and in 1967 she won the Clara Haskill Competition in Lucerne and this effectively launched her international career. She was signed to the Phillips label and made eight discs for them. Her core repertoire was the main Romantic and Classical composers, with a sense that Chopin was dear to her. Her musicianship seems to have been instinctive and she was described as being born with a piano. It wasn't all easy, she had rather a difficult time in Paris studying there and the troubles were with teachers, with muscular problems and loneliness arising from concentrating on music and not socialising with other students, but she had had excellent teaching in Montevideo. And in New York she also learned but this time it was learning what style of piano playing did not suit her, she described it as 'horrible; everything was intellectual, it was all predetermined. This emotionless way of playing that was taught there was nothing for me. In any case, I can’t play that way. And in retrospect: you have to know and recognize what you do not want. And I learned that.' But in the period running up to her winning the Clara Haskill Competition she had master-classes and private lessons from Geza Anda, and learned a style of playing which suited her relaxed technique. This relaxation had a physical origin, when playing she sat bent slightly forward but with her back straight. She said, 'everything must be rooted in the spine because it supports the entire body. Only then can one’s playing be truly free. This looseness is important for the sound. Because if you tense your arms or shoulders, the harmonics of the other strings don’t come out so well. But if you’re relaxed, then the keyboard, right up to the mechanics, is a natural extension of the arms. Then the sound and the piano itself simply blossom.' For anyone who has studied Alexander Technique, this sounds like something remarkably similar. Pergolesi is now best known for his Stabat Mater and his comic operas. But these comic operas often started out life as interludes between the acts of a longer opera seria, yet Pergolesi's four opere serie seem to have been forgotten. 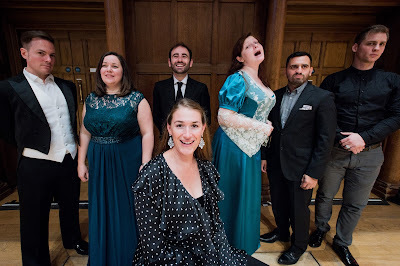 On Wednesday 16 September 2015 at the Cadogan Hall, Opera Settecento (artistic director Miranda Jackson) gave the first UK performance of Pergolesi's opera Adriano in Siria, a setting of Metastasio's libretto (also set by JC Bach as performed by Classical Opera, see my review) which premiered in Naples in 1734 (two years before Pergolesi's death). Leo Duarte conducted a strong and highly international cast with Michael Taylor as Adriano, Maria Ostroukhova as Emirena, Erica Eloff as Farnaspe, Augusta Hebbert as Sabina, Gyula Rab as Osroa, Cenk Karaferya as Aquileo. Leo Duarte conducted the Orchestra of Opera Settecento playing on period instruments. Metastasio's libretto (written in 1732) was set by a remarkable number of people. Pergolesi''s version premiered at the Teatro San Bartolomeo in Naples in 1734 as part of the birthday celebrations for the Queen of Naples, Elisabeth Farnese. At the premiere, Pergolesi's comic intermezzo Livietta e Tracollo played between the acts. The role of Farnaspe was sung by the castrato Caffarelli, and with the exception of Osroa (a tenor role) the remaining characters were all played by women. Though all labelled soprano roles, they in fact vary enormously in fach, and Opera Settecento's casting reflected this. South-African soprano Erica Eloff sang Farnaspe, Canadian counter-tenor Michael Taylor sang Adriano (the sort of low soprano role accessible to a high counter-tenor), Augusta Hebbert sang Sabina (a real soprano role), Russian mezzo-soprano Mara Ostroukhova sang Emirena (effectively a mezzo-soprano role), with Turkish/American counter-tenor Cenk Karaferya as Aquilio. Hungarian tenor Gyula Rab completed the cast as Osroa. 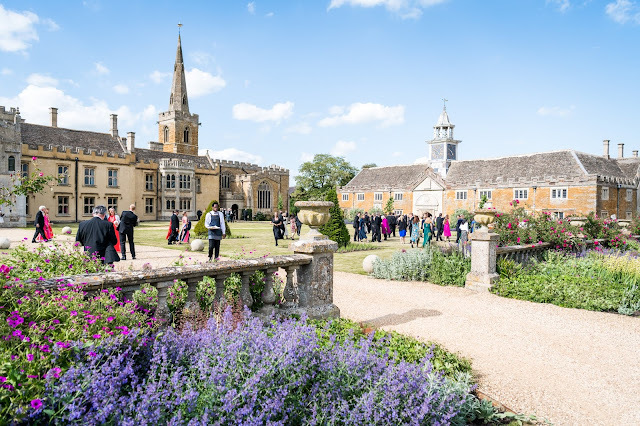 Bampton Classical Opera, artistic director Gilly French and Jeremy Gray, has something of a reputation for shedding light on forgotten corners of 18th century operatic repertoire, and their latest production is certainly quite a find. The first UK production in modern times of Salieri's La grotta di Trofonio (Trofonio's Cave) which premiered in Vienna in 1785. Jeremy Gray's production, conducted by Paul Wingfield, debuted at Bampton in July, and came to St John's Smith Square for one performance on 15 September 2015. The cast included James Harrison, Aoife O'Sullivan, Christopher Turner, Nicholas Merryweather and Matthew Stiff. Anna Starushkevych was also supposed to be performing but she was marooned in the Ukraine having trouble renewing her UK visa, so Catherine Backhouse sang whilst Marieke Bernard-Berkel acted. The ensemble Chroma provided the orchestral accompaniment. If we think of Salieri's music at all (and it is difficult to get away from his extra-musical reputation) it is probably as a teacher (Beethoven, Schubert and Liszt were amongst his pupils), or as the writer of large scale opera seria. Trofonio's Cave is rather different, and it helps to shed some illuminating background to Mozart's trilogy of operas with Lorenzo da Ponte (Le nozze di Figaro premiered in 1786 and a number of the cast in Trofonio would go on to perform in Mozart's operas). Saleri had collaborated with Lorenzo da Ponte in 1784 (on Il ricco d'un giorno in 1784) but they had fallen out. Trofonio's Cave with a libretto by Giambattista Casti has some remarkable pre-echoes of Cosi fan tutte. Its plot also uses two couples who are mixed up, though Trofonio's Cave remained firmly in the realm of farce; first the men are transformed to the consternation of the women, then after the men return to normal, the women go through the same process. The result is amusing without ever moving into the emotional territory occupied by Cosi fan tutte (a libretto which Salieri seems to have toyed with setting in the 1780's). But it is not just the plot links, Salieri's music provides remarkable pre-echoes of Mozart thus showing us, like Mozart's indebtedness to Michael Haydn in the Requiem, that Mozart's style came out of somewhere. Salieri's long, structural, multi-sectional finales (an operatic form invented by Galuppi) and the structure and style of some of the arias also point us to Mozart, as does the way Salieri handles the wind and the rich sound of the orchestra. But the opera has neither the emotional impact nor the tunes of Mozart's. Still, there was a great deal to enjoy in the stylishly lively and zipping production (the recitatives were evidently somewhat trimmed). Jeremy Gray's production (in his own designs with costumes by Vikki Medhurst) was themed, rather effectively, on the episode of Dr Who where he meets Jane Austen! 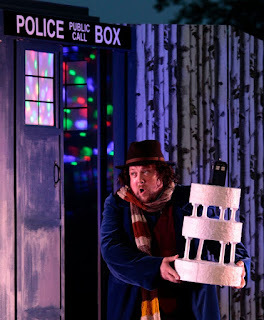 The main action took place with with 18th century characters in an Austen-esque library, but Trofonio's cave was the Tardis and Trofonio was the good doctor himself. It work enormously well; for the original audience Trofonio (a figure from myth) would still have had cultural resonance, so this was a good replacement. The Academy of Ancient Music and Richard Egarr finish their three-year cycle of semi-staged Monteverdi operas with Il ritorno di Ulisse in Patria which they perform on 29 September 2015 at the Barbican Hall. Ian Bostridge plays Ulisse, returning to his homeland and the constancy of his wife Penelope, played by the Slovenian mezzo-soprano Barbara Kozelj, with Elizabeth Watts as Minerva and Andrew Tortise as Ulisse's son Telemaco. Richard Egarr directs from the harpsichord, and the staging is co-directed by Alexander Oliver (who plays Iro) and Timothy Nelson. Il ritorno di Ulisse in Patria premiered in Venice during the Carnival season of 1639-1640 and is the first of a group of operas which Monteverdi (then musical director at St Mark's) wrote for the Venetian opera houses. The theatre had been built in 1638 so an opera by Monteverdi (72 when it was premiered) was clearly quite a coup. The work survives in an apparently incomplete manuscript which differs from the surviving libretto, but scholars are agreed that Monteverdi was the composer though others may have had a hand in some scenes. The opera is a far cry from his early masterpiece, L'Orfeo (written for the court of Mantua in 1607), the works written for Venice use relatively compact orchestral forces (dictated by the commercial pressures of the Venetian theatre) and have the mixture of serious and comic scenes which was highly popular with the Venetian audiences, so Monteverdi contrasts the scenes for Penelope and Ulisse with the riotous behaviour of Penelope's suitors. There is a performances at the Enescu Festival in Bucharest on 18 September before the performance at the Barbican (tickets from the Barbican website). Breaking the boundaries between audience, performer and work. Lost in Thought is billed as the world's first mindfulness opera. 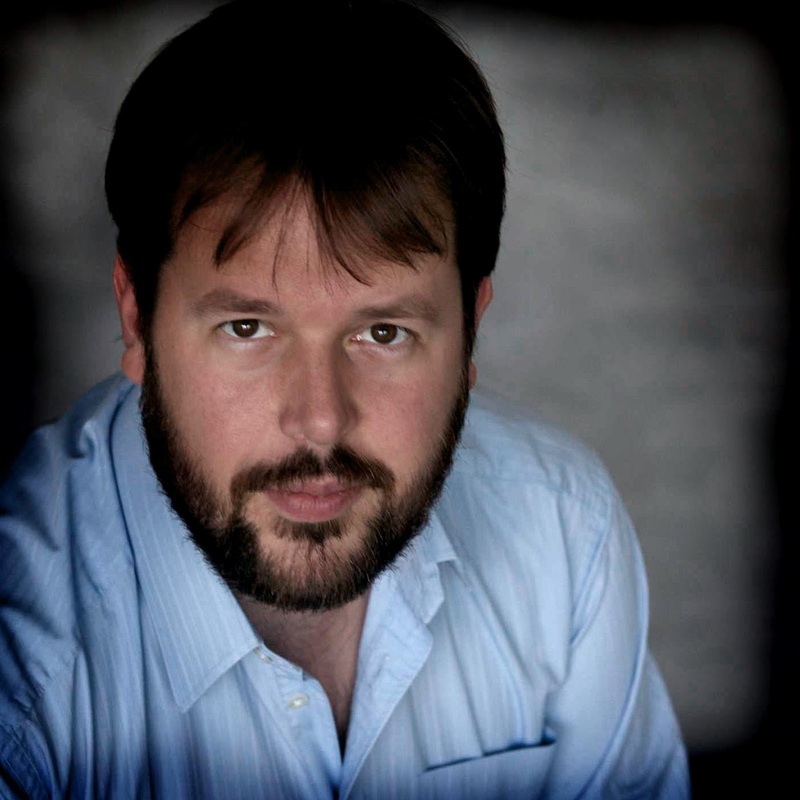 It is a work which premieres at LSO St Lukes from 25 to 27 September 2015, performed by Mahogany Opera Group and directed by Frederic Wake-Walker with music and concept by Rolf Hind. The fact that Hind and Wake-Walker are involved means we will be in for an intriguing and perhaps challenging evening. The press release explains more. Frederic Wake-Walker and Rolf Hind. The opera is based on the classic structure of an extended meditation, exploring the points of contact between sound and silence (and in fact composer Rolf Hind introduced mindfulness meditation practice at the Guildhall School). Lost in Thought is a four hour immersive musical performance. 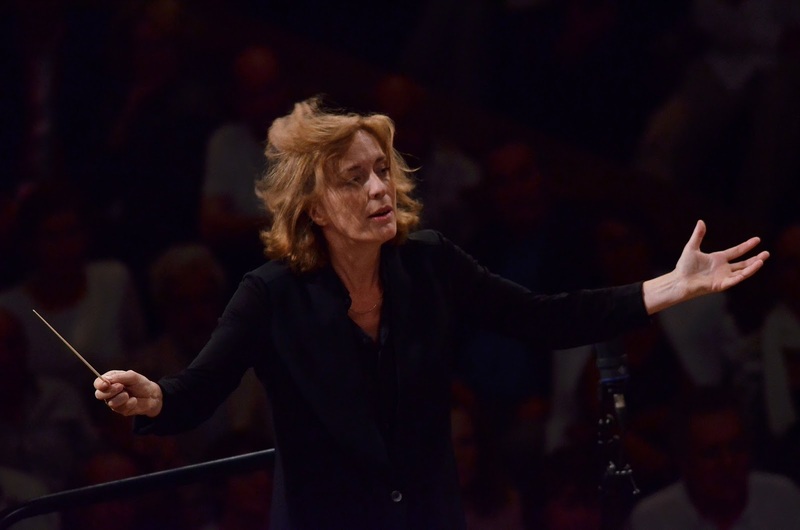 During it audiences will go on an inner journey of mindfulness, with periods of meditation, rest, communal eating and a gentle yoga session guided by mezzo-soprano and meditation leader Lore Lixenberg and seven musicians. The intention is to blur boundaries between performers and audiences in what is billed as a genre-bending reconceptualisation of opera. Further information from the Barbican website but be warned, tickets are sold out so it is returns only! The performances are supported by a programme of events which includes a symposium on mindfulness in music and art.